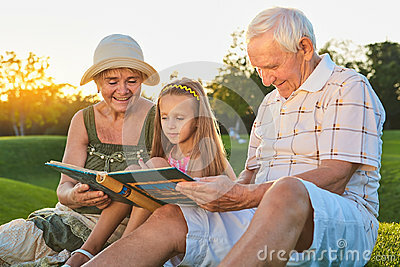 Child with grandparents, photo album. Child with grandparents, photo album. Happy people looking at photos.